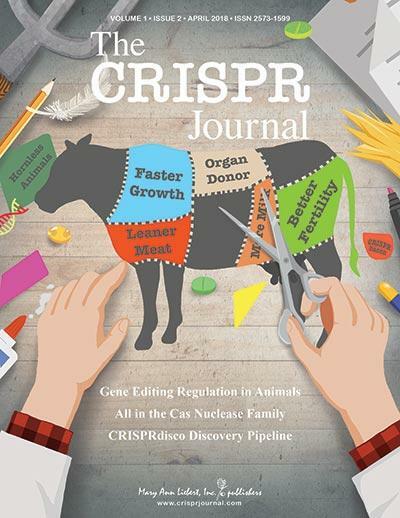 There is considerable interest in a new variant of CRISPR gene editing called base editing, which can perform a targeted single-base substitution without introducing a break in the DNA. However, current analyses of base-editing outcomes rely on wet lab techniques that are costly, time consuming, and imprecise. To address this issue, researchers at the University of Minnesota have developed an alternative method – a practical software program that produces fast, accurate, superior estimates of editing results. EditR is a free web tool that requires only a single Sanger sequencing file of a base-edited sample and the sequence of the gRNA protospacer to accurately predict base editing outcomes completely in silico. <strong><p>6. My CRISPR Story: Special Delivery</p></strong>  <p>In the third installment of &quot;My CRISPR Story,&quot; Kunwoo Lee recounts his ascent from graduate student to co-founder and CEO of the CRISPR-based company, GenEdit. Lee details the struggles of launching a biotech start-up as well as translating &quot;scientific concepts into the language of business.&quot; GenEdit's polymer nanoparticle technology has already been exploited for efficient delivery of Cas9 and guide RNA to various tissues via direct injection, positioning Lee and colleagues to become key players in the rapidly-expanding CRISPR therapeutics field. CRISPR has far reaching implications in science, politics…and now the Vatican? Executive Editor Kevin Davies reports on the "Unite to Cure" Fourth International Vatican Conference, where attendees were treated to a Papal address, celebrity cameos, and a panel discussion on genome editing featuring the CEOs of three major CRISPR biotechs, Editas, CRISPR Therapeutics, and Intellia.